The last week in July is all about celebrating the fabulous …. moth! Butterflies’ less-beautiful cousin, moths are nothing to scoff at, and National Moth Week is all about celebrating these delightful (and helpful!) creatures. 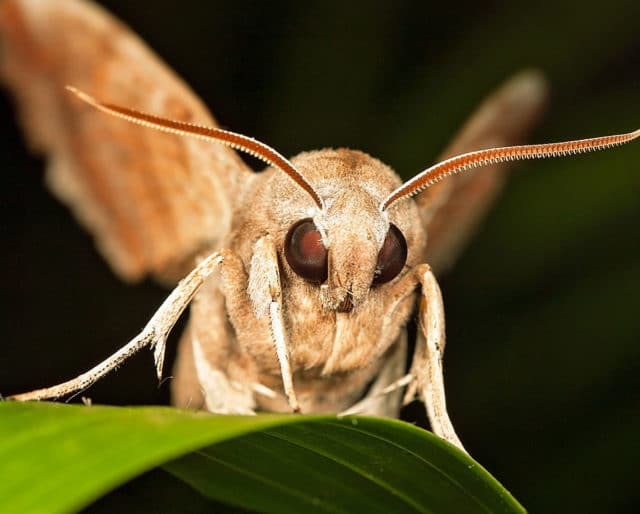 Did you know moths are among the most diverse organisms on Earth? It’s true! Scientists estimate there are at minimum 150,000 moth species, and some believe that there could be over 500,000! Moths have been found that are small as a pinhead and as large as an adult-human’s hand. But of course, it’s their incredibly complicated wing colors and patterns that make them especially dazzling. We've all been guilty of seeing a moth on the wall and reaching for the closest magazine, shoe, or newspaper to smack down the dastardly creature. But for National Moth Week, remind yourself of the wonder of the moth, and how the little buddy on your bedroom wall is living thing! Leave it alone, or use a glass and piece of paper to transfer it safely outside. You may have heard of a spirit animal, but did you also know that we each have a spirit moth? It's true! Take down your moth guide from the bookshelf or look online through images of moths online (an easy way: go to Google, search moths, and click on the image tab). Find one that speaks to you. That's your spirit moth! Mothing is easy and also fun. A great activity. Here's how to do it. Hand a white sheet or towel outside and shine a light on it. Put another sheet or towel (any color) on the ground nearby and have a little twilight picnic. As the sun sets, the moths will come, attracted by the fun you're having (just kidding, they're attracted by the light). You're mothing! Count the moths, take selfies with them, pick out your spirit moth. What fun! Shake the towel out when you're done so you can go back to your home moth-free and they can go back to their homes and do whatever moths do. Everyone knows bees help keep the circle of life going, but moths do, too! They have long tube-like tongues that are idea for sipping nectar, and their hairy bodies, evolved to keep them warm in flight, are perfect for pickup up pollen grains and moving them around the garden! It's a bid morbid, but moths are an important meal for many animals. Lizards, birds, and even some bears eat moths! Canaries in cages were taken to coal mines to give miners a warning if the air had gone bad (the canary would keel over before humans did). In the same way, moths are a good indicator of how the environment is doing! Moth health and numbers can give important signals about the effects of farming practices, pesticides, air pollution, and climate change on the Earth.